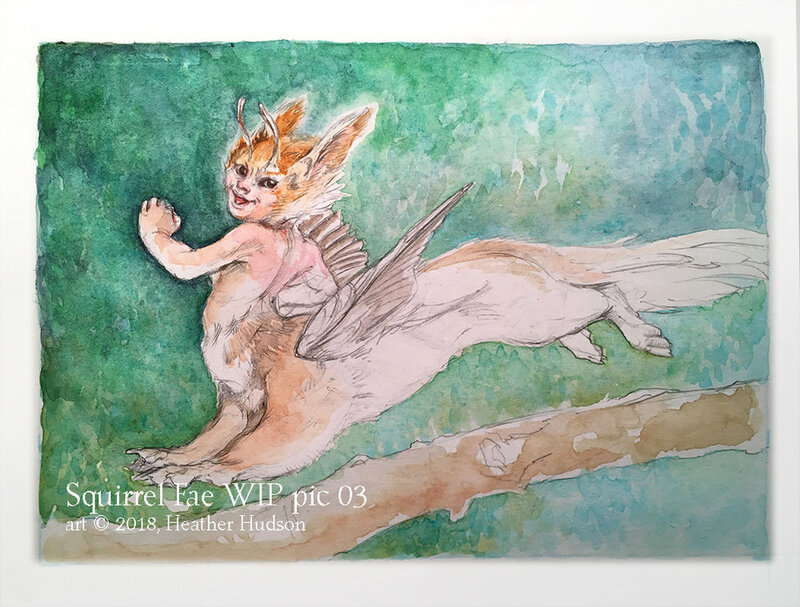 Here’s a Fae in progress for today’s Junefae, a little squirrel centaur fae who isn’t quite ready to fly yet. I'll continue working on her this week, in the corners of my schedule as time permits, This one has potential; I want to see where it goes. 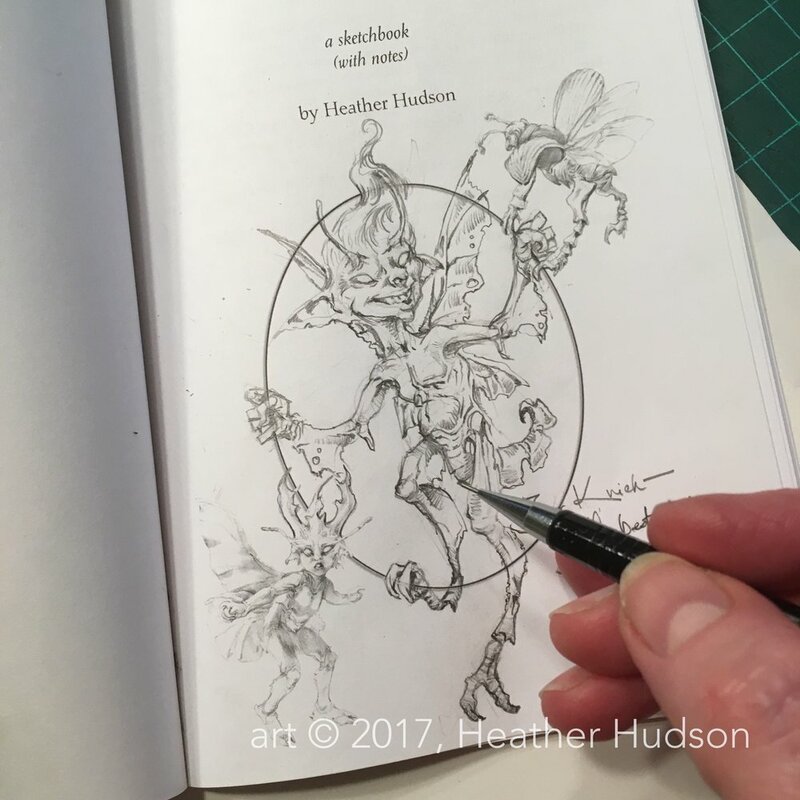 This year I'm sketching fae from the world I'm building, the Other Side of the Wood, where fairies are caused by fairy dust, and the dust is alive with a faeriscite agent. I’ve been thinking about the different ways fae develop from their parent creature - you could shake fairy dust over six identical sibling mice at the same time, and see six different mice-fay result. Perhaps wildly different, there is no stricture on the faeriscite agent to be reasonable. You can read more on my world building thoughts on fae in today's general-access Patreon post.